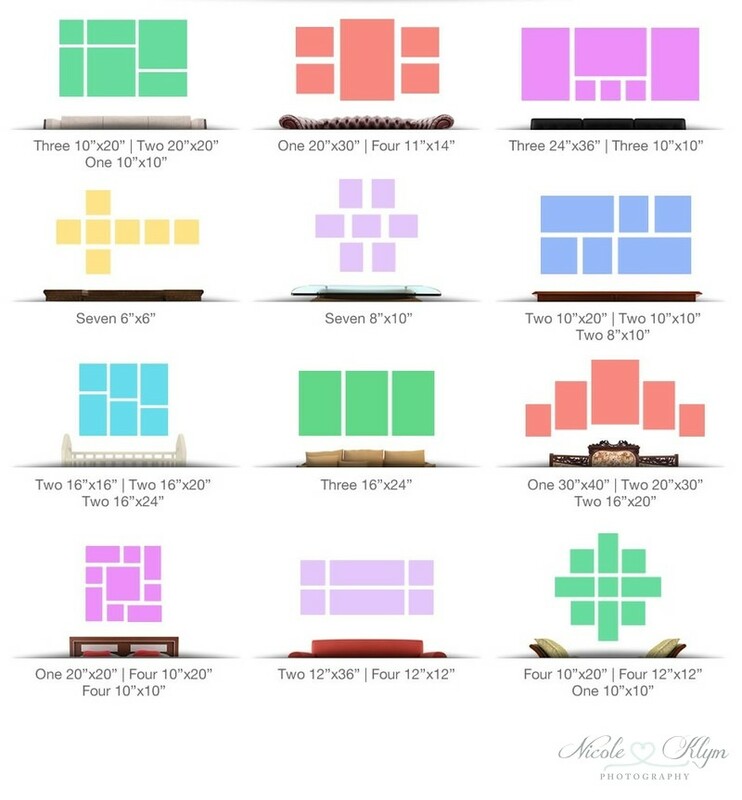 If you'll be displaying photo prints on a tabletop, some great standard print sizes are 4x6, 5x7 or 8x10. If you'd like to get those images up on your wall, a size of 11x14 or larger is recommended. 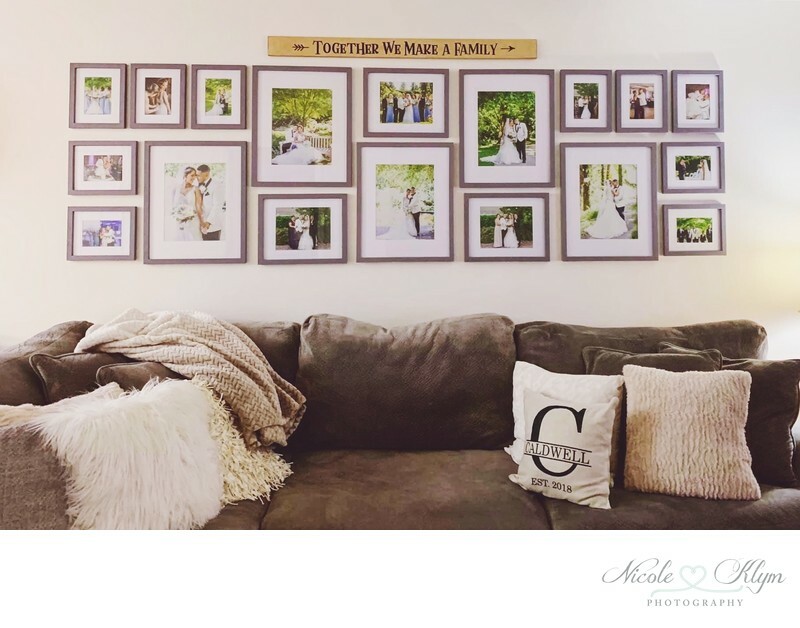 I love this combination of prints Marc and Amanda displayed on their wall in assorted frames. 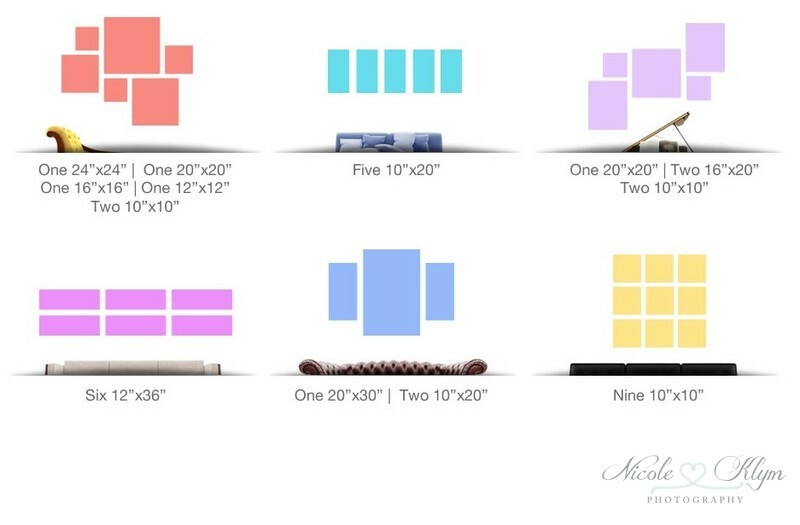 If you need some wall gallery inspiration, whether you're hanging framed prints or canvases, check out some of the ideas below.